"Gun violence is as serious as the Ebola virus is being represented in the media, and we should fight it using the tools that we've learned from our health providers,” he told Wisconsin Public Radio. At this point, anyone with two functioning brain cells will either burst into a fit of laughter or let out an involuntary sigh at Jacobs’ statement. Indeed, Jacobs’ metaphors and analogies are so mixed up and the chasm between his logic and reality is so wide that one can scarcely take him or his statement the least bit seriously. Except, of course, Jacobs is serious. In 2014, this level of respect for American rights is what typifies the average law enforcement official or government office holder. In 2014, such ridiculous statements are made by those who are supposed to be the cream of the crop and entrusted with such important responsibilities as that of Police Chief. 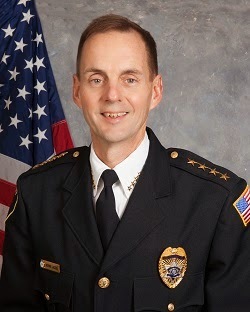 Nevertheless, Jacobs said that he hopes citizens will voluntary agree to the searches and they will “result in the discovery of guns they didn’t know were in their own homes.” He also stated that he believes there is a chance the officers will find guns linked to crimes in the homes. He did not state why he believes an individual who has a gun in his house that has been used to commit a crime would voluntarily allow the police to search his home for guns. Nor did he explain what would happen if a gun was used in a crime, discovered in a home, and the homeowner subsequently claims he has no idea how the gun ended up there. Will the homeowner be prosecuted? Will the crime be overlooked? Is either option fair? Really? An “altered” toy gun? Who are these children that are turning plastic toys into real weapons? They should immediately be located and given engineering scholarships. “We all know the tragedies that can occur there on occasion?” Like what? So far, besides a choking hazard for children under two, the only tragedies that can occur from toy guns are being murdered by the police. Such was the case for 12-year-old Tamir Rice who was murdered by Cleveland police for holding a toy gun. It should be clear that Chief Jacobs is not a gunophobe, however. As Kristan T. Harris of the Rundown Live has reported, Beliot Police Department is the proud owner of a Bearcat (PAC), tank, and robot. In addition to all the other military hardware the BPD possesses, the department has also deployed “Shot spotter – a gun shot location device” in the city of Beloit. The BPD can be contacted at any one of these non-emergency numbers.